Rice bowls, mugs, plates, and soba choko cups. 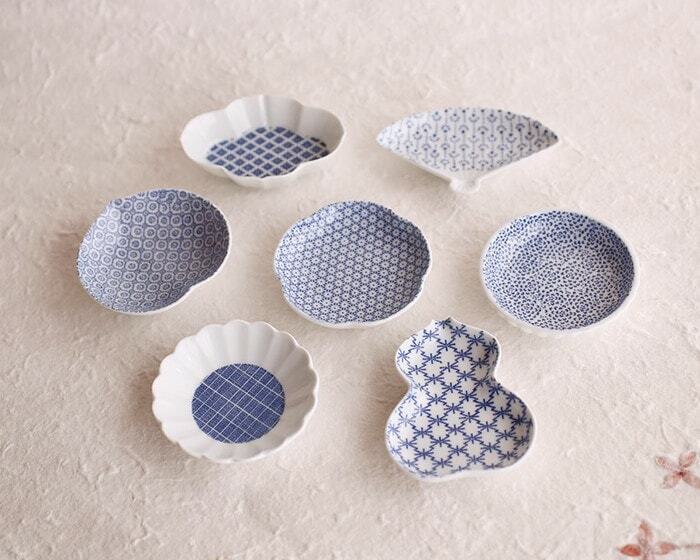 Hasami porcelain become more and more popular now. 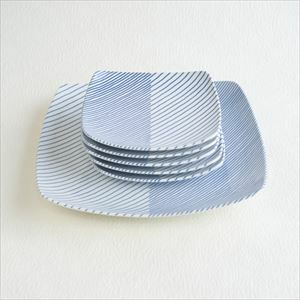 Hasami ware have a lot of tableware with stylish design. 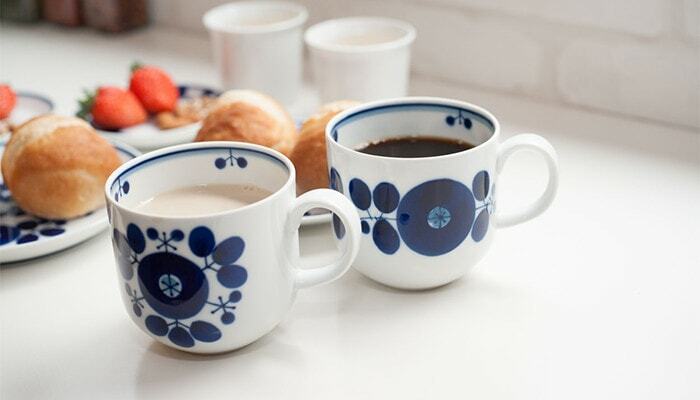 It has been loved as daily use tableware for a long time. 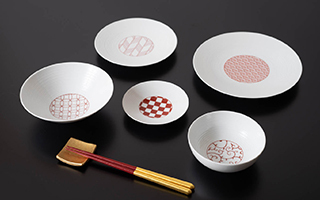 Japan Design Store selects modern Hasami porcelain. 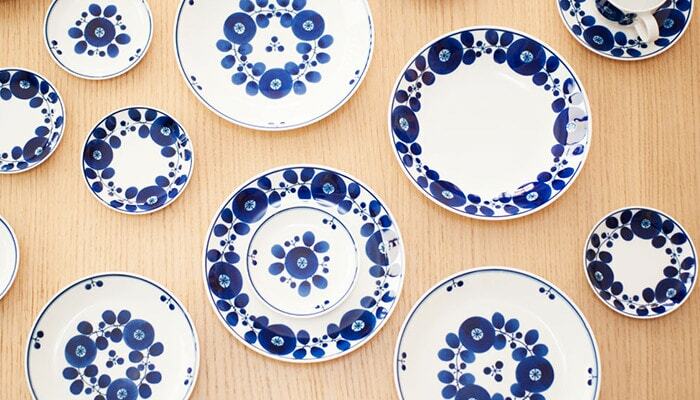 You may find Hasami porcelain at a stylish Japanese café. They already use Hasami porcelain! Do you know Hasami yaki (Hasami ware or Hasami porcelain)? 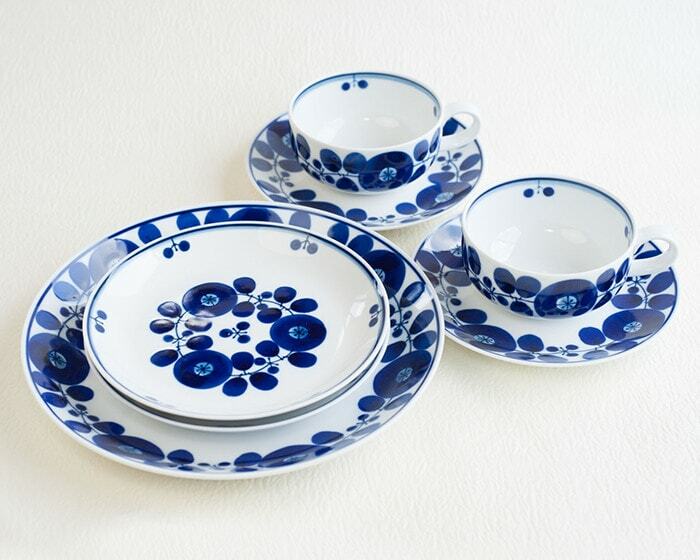 Recently, Hasami porcelain gets more and more popularity in Japan and the world. It is one of the traditional crafts in Nagasaki prefecture. Beautiful transparent white porcelain and modern printing. 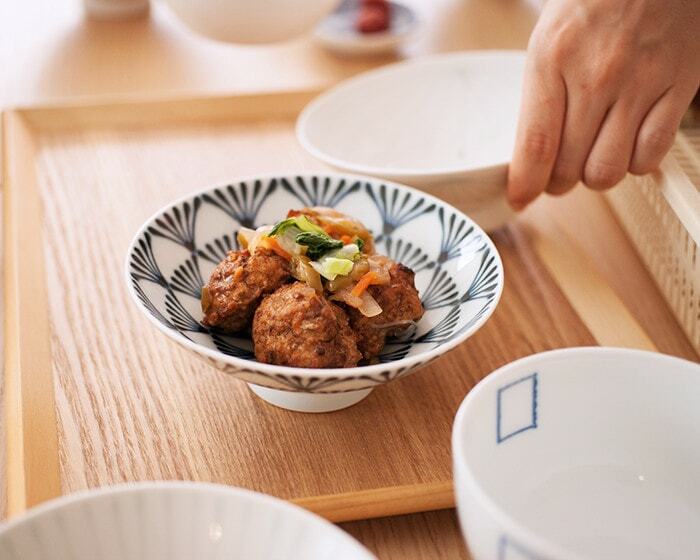 One of the features of Hasami ware is its stylish design for modern life style. 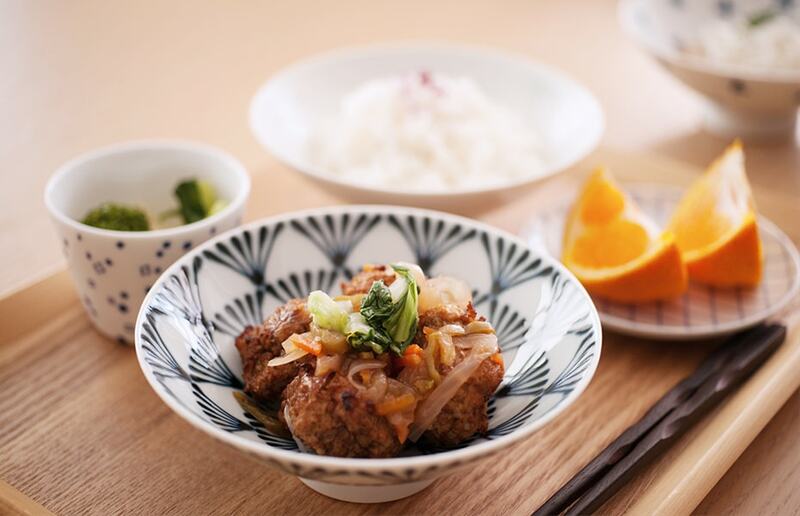 We can see various Hasami yaki tableware in stylish café, bar, or variety shops. 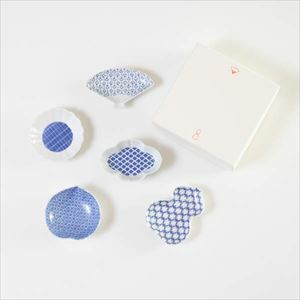 Hasami porcelain is popular item in Japan Design Store as well. 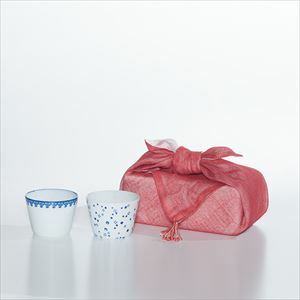 For daily use, tableware for guests, or gifts, many people choose Hasami ware. 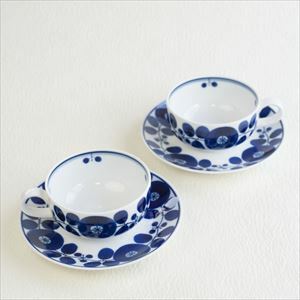 In this page, we would like to introduce tableware from some Hasami porcelain brands that get great popularity now. You can find the answer in this page. We wish you find your favorite Hasami ware. Do you know the producing area of Hasami ware? In fact, not many Japanese know the place. Hasami yaki is ceramics produced in the whole are of Hasami town of Higashi Sonogi county in Nagasaki prefecture. It is a neighbor town of Arita in Saga which is famous for Arita porcelain. There are about 90 potteries in the producing area of Hasami porcelain. 40% working people in Hasami area are engaged in Hasami ware production. 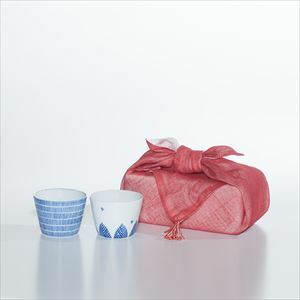 Hasami porcelain has been popular as tableware for civilians. So, it is light and tough. 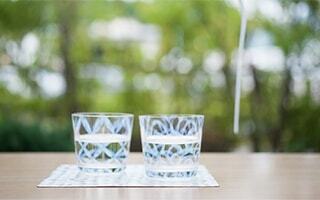 Great feature of Hasami ware is its usability for daily life. 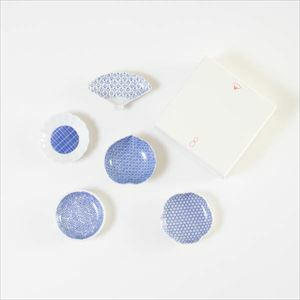 In traditional Hasami porcelain, we can see many blue-and-white tableware. 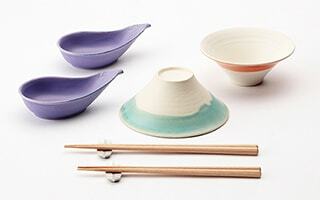 Recently, Hasami ware varies from colorful one to simple and modern one. 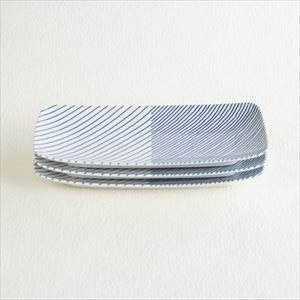 Fashionable people pay attention to cool Hasami yaki tableware made for modern life. 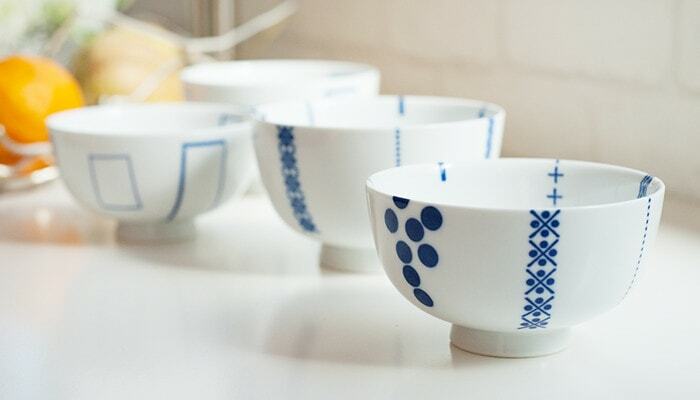 Hasami rice bowls, soba choko cups, or mugs have been popular as stylish and useful tableware. 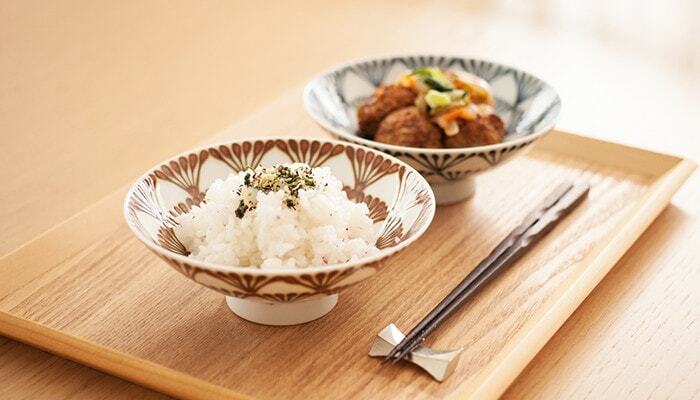 Rice bowls of Hasami ware have been especially popular among various Hasami tableware. Japanese people take rice bowls with hands directly and sometimes place lips on rim. Therefore, texture and usability are important for rice bowls. 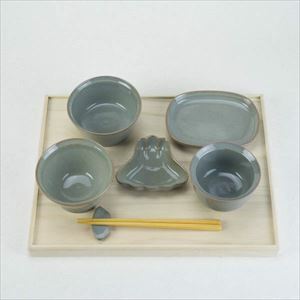 We collect Hasami yaki rice bowls which are easy to take with hands and easy to care. 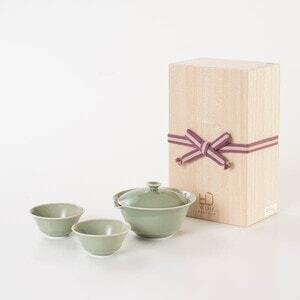 Pair rice bowls have been popular wedding gifts or wedding anniversary gifts. 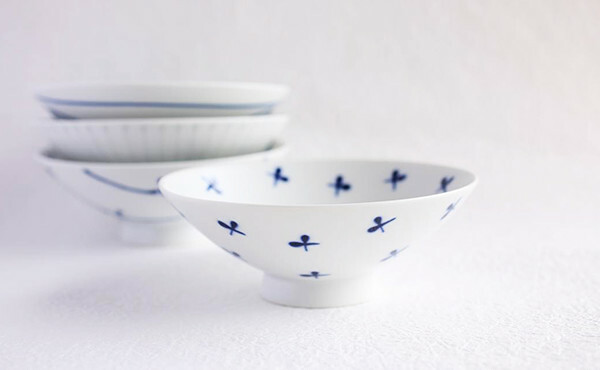 Among many Hasami porcelain brands, Hakusan Toki has a lot of fan all around Japan. 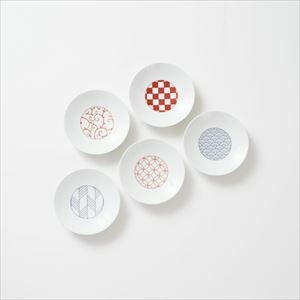 a designer Masahiro Mori designed this flat rice bowl. It is a long-selling item but has modern atmosphere anytime we see it. A rice bowl with broad rim has gorgeous atmosphere. Wide rice bowls make rice look more delicious. We can use the bowls for dishes as well. Flat rice bowls are popular for its superb form that anyone who has big or small hands can take it easy. 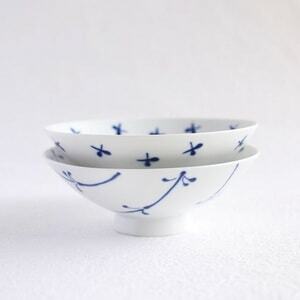 So, pair of these Hasami porcelain bowls have been popular wedding gifts. It won Good Design Award in 1993 and Long Life Design Award in 2004. “Flower rice bowl” is a collaborated item with a pottery of Hasami porcelain “Shiratake Porcelain” and Azmaya. On cute rounded form, modern blue painting look stand out. Simple design and popular printing are popular points. 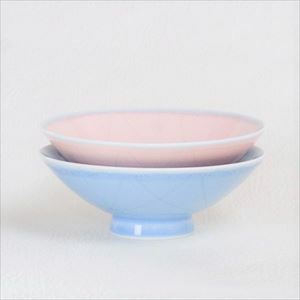 Hasami porcelain bowl with some height keeps warmth of rice. Its stable height is good point as well. In fact, the motifs “※・—＋” are marks we use every day. Its unique idea attracts us. 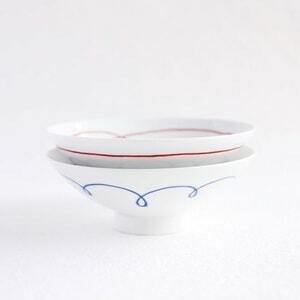 [Azumaya] Colon and a rounded shape and a pop picture are cute, a bowl of a Azumaya. 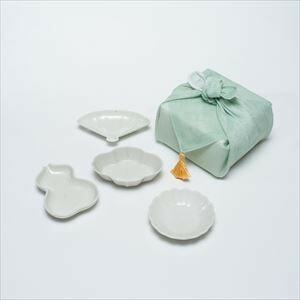 A large and small set of fashionable bowls is also recommended for gifts such as weddings and celebrations. FUJIWAN is modern Hasami porcelain rice bowl. This is popular item from Floyd. Craftsmen of Hasami ware glaze rice bowls one by one. So, each Fujiyama has different atmosphere. 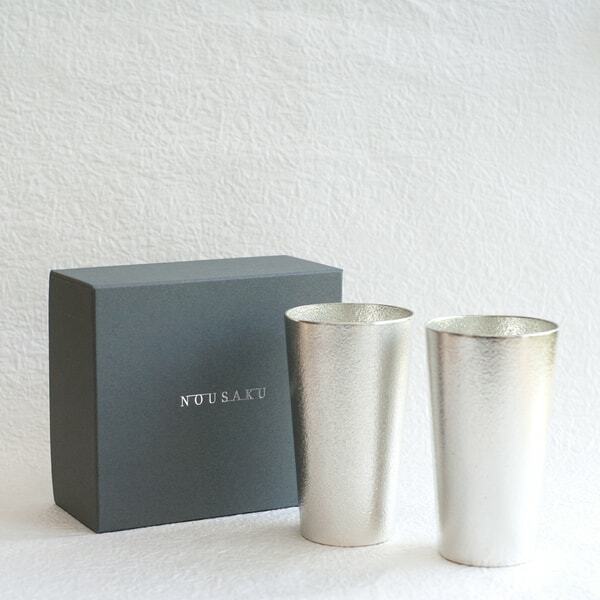 We recommend stylish FUJIWAN as gifts for those who start new life. In addition, FUJIWAN is wrapped with unique wrapping. 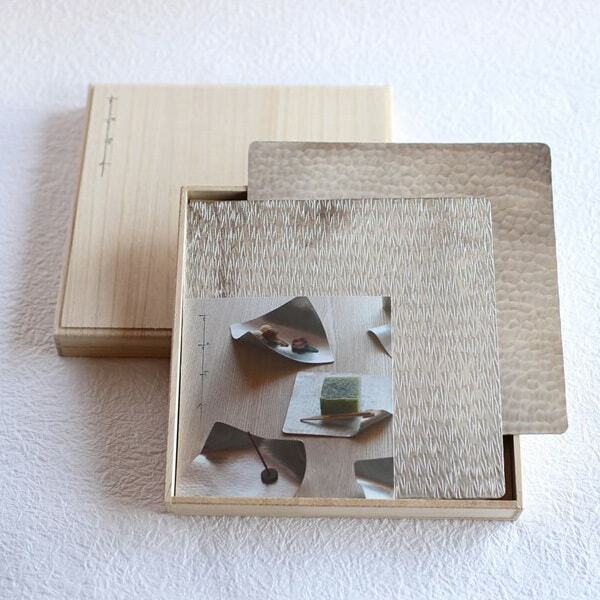 When you open the paulownia box, Fujiyama comes from cotton like clouds. 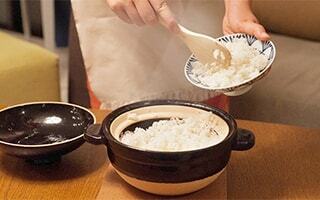 If you would like to know more about rice bowls of Hasami yaki, please check this page as well. 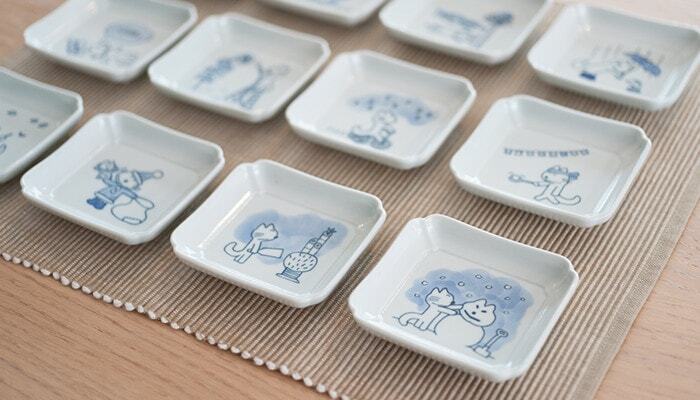 Mamezara, or tiny plates of Hasami porcelain have been popular among cute item lovers. Put soy sauce, seasonings, or enjoy tea time with small confectionery. How do you use cute Hasami mamezara? It totally depends on you! Tiny plates make us happy even just we see them. 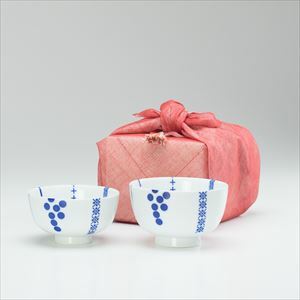 Among various mamezara of Hasami porcelain, mamezara of Azmaya is popular item. Azmaya offers Inban-mamezara which is oriented with Inban printing seat and natural Dobai-mamezara. They are cute palm size plates, but very useful. They have superb size and depth for soy sauce or seasonings. When you get one, you may be addicted with them to collect all! 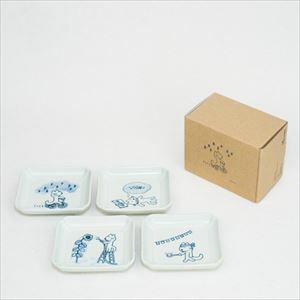 These cute mamezara of Hasami yaki would be great gifts for picture book lovers. These cats are from picture book series “11 cats” by Noboru Baba. 12 plates express 12 months. Cats spend each season in carefree ways. Gentle color suits kind atmosphere of picture books. 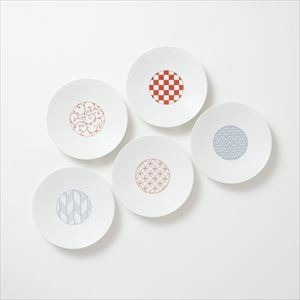 In addition to use on dinner table, you can just embellish seasonal Hasami porcelain plates. 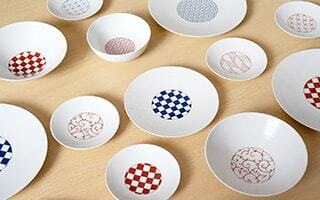 Hasami ware plates can color dinner table every day. Modern, stylish, stackable and easy to care. 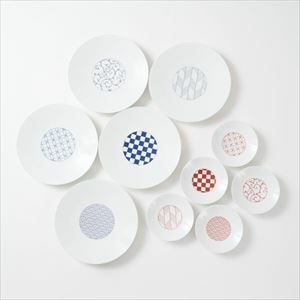 We select Hasami ware plates that can be accent on your tale setting. 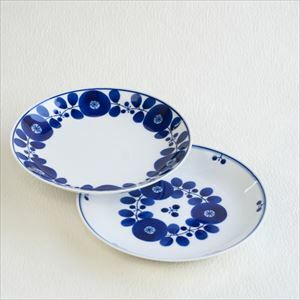 If you look for useful Hasami ware plates for any kind of food, we recommend Bloom series from Hakusan Toki. 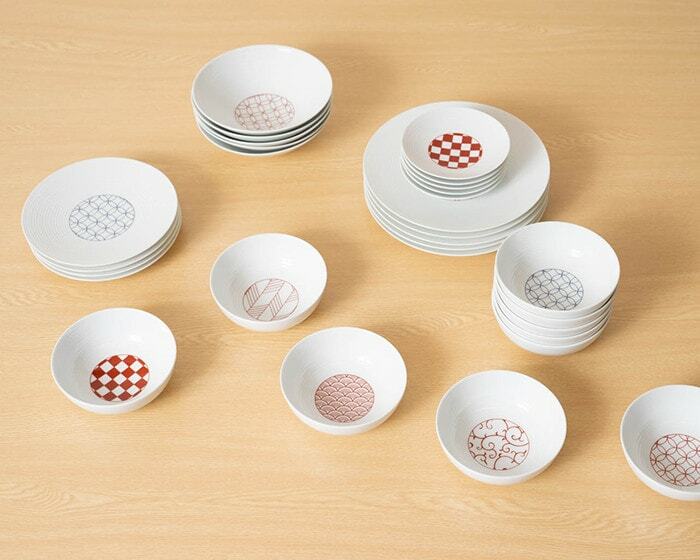 Blooms series has various sizes of plates from LL to SS. 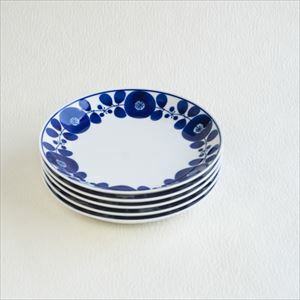 From daily lunch to special dinner, beautiful blue and white plates work well. Each blue flower is hand painted by craftsmen. They have warmth of handmade works. 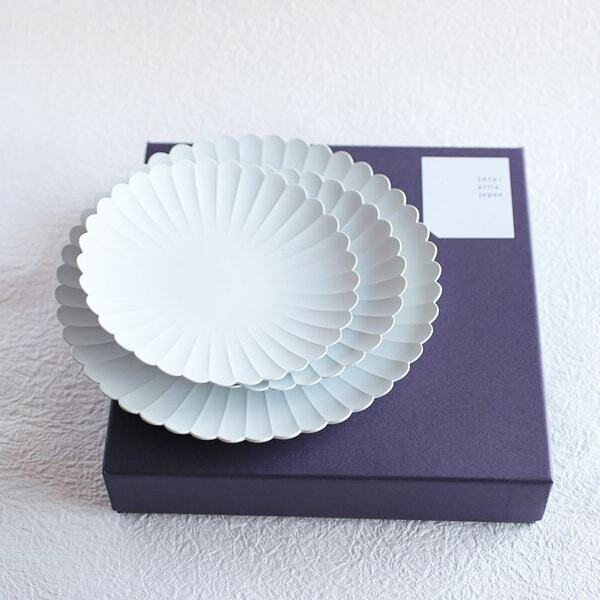 Like full-bloom flowers of Bloom plates, conversation will be enlivened with bright Hasami yaki plates. 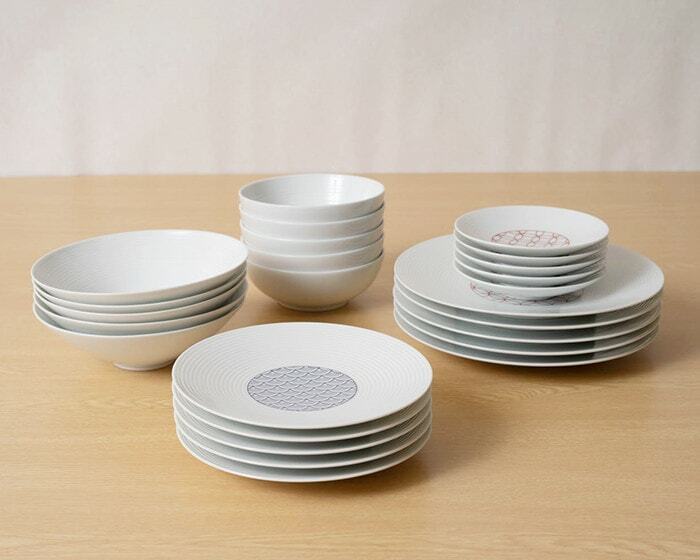 As for the Hasami porcelain plates, beauty of white porcelain is one of the reasons of its popularity. 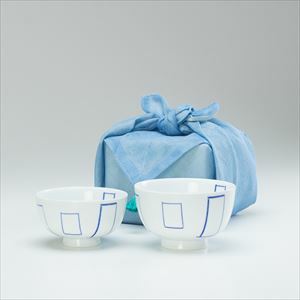 Wa-modern series from Eiho porcelain is modern Hasami ware of beautiful white porcelain with Sen-dan Suji. 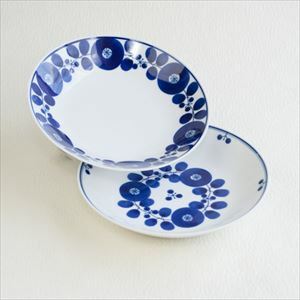 On the center of plates or bowls, Japanese traditional patterns such as Shippo, Karakusa, Ichimatsu, Seigaiha, or Yabane are printed graphically. 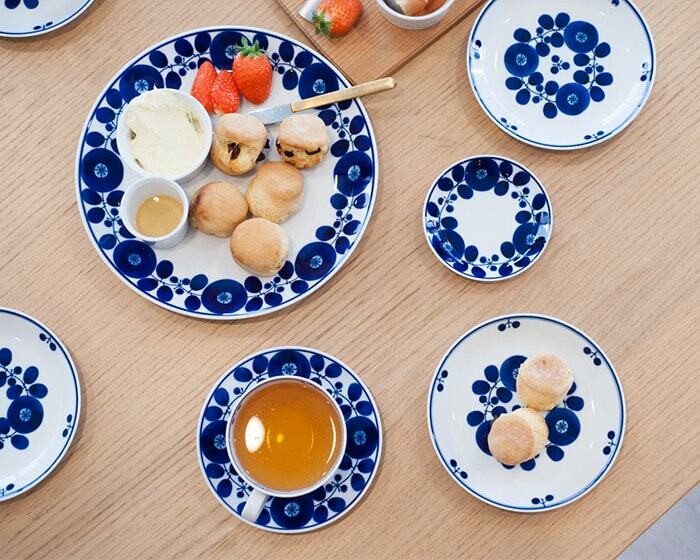 Red or blue patterns make beautiful contrast with white porcelain. 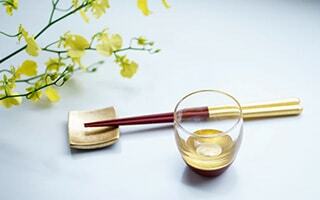 Auspicious Hasami yaki plates set has been popular wedding gifts. 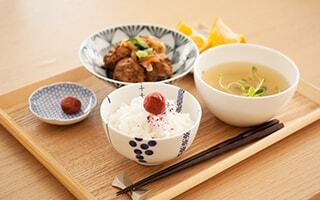 [Eiho porcelain] “Wa-modern” series is Japanese dishware with Japanese traditional patterns and Sen-dan Suji. Translucent white porcelain makes dishes stand out. 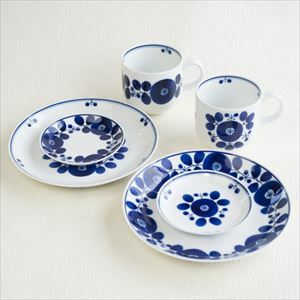 Dishware sets with auspicious pattern would be great gifts as well. 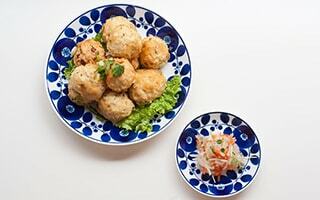 If you look for Hasami square plates, we recommend Kasane-jima from Hakusan Toki. Hand-painted-like lines have gentle atmosphere. 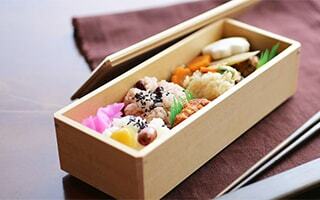 Square plates are especially good with Japanese food. 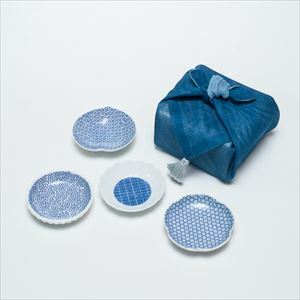 Fresh blue color of Hasami porcelain suit well with other tableware. Square plates are very useful, but not so many people have one. 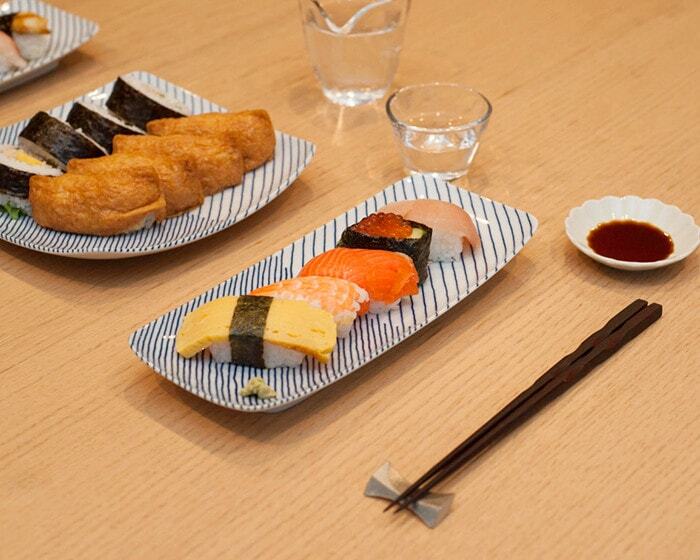 If you like sushi or sashimi, these Hasami ware plates are the BEST! 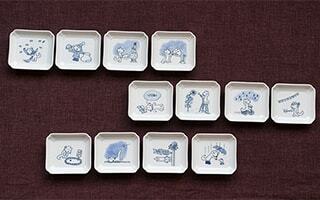 Useful and cute plates would be great gifts, too. Mugs of Hasami yaki work for morning coffee or break time. You will get fond of cute and useful mug more and more as you use every day. 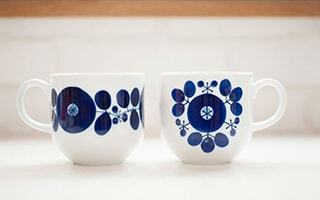 Mugs of Hasami ware have been popular gifts for coffee lovers or tea lovers. 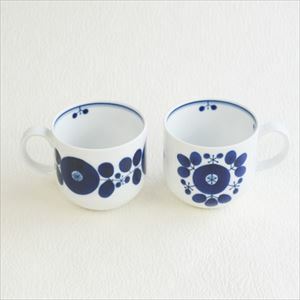 If you look for stylish mugs of Hasami porcelain, we recommend mugs of Bloom series from Hakusan Toki. Painted full-bloom flowers are suitable for relaxing time. This mug can contain 360ml. Its big size is one of the reasons of the popularity. For your home or office, fresh mug works every day. 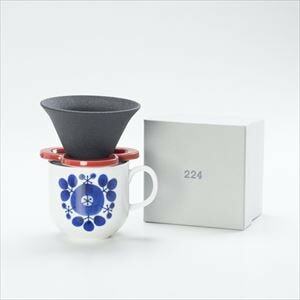 We make our original set with this mug and ceramic coffee pour over cone “Caffe hat”. This original set has been popular gift. 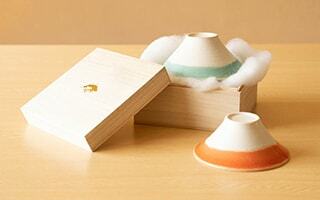 How about tasting delicious tea with stylish Hasami ware tea pot? 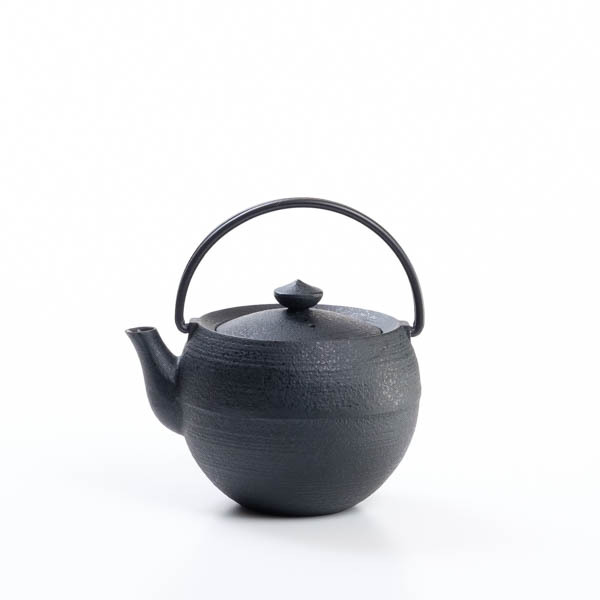 Craftsmen of Hasami porcelain produce teapot, too. Beautiful white porcelain teapot is popular item. 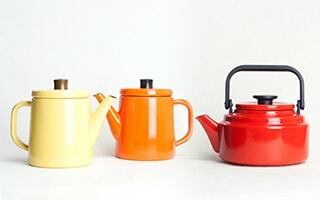 There are all sorts of Hasami yaki teapots. 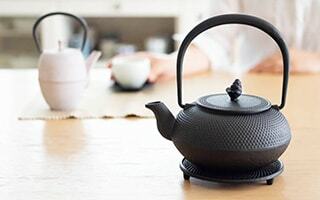 Japan Design Store selects unique teapot called “Houhin.” This is a teapot to taste high-class tea leaves, not to make a lot of tea. After making tea, enjoy eating tea leaves. 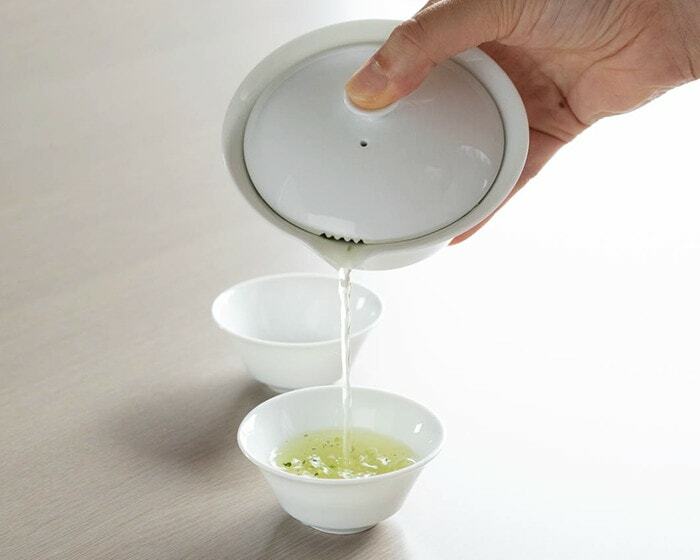 Houhin tea set from WDH can contain 2 teacups in teapot. It is a compact set. 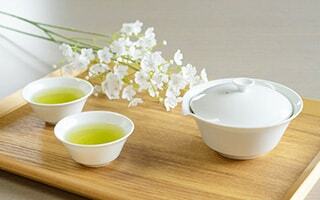 Please enjoy high-quality tea such as Gyokuro or Kabuse. [WDH] Houhin is a teapot for high-class tea leaves. 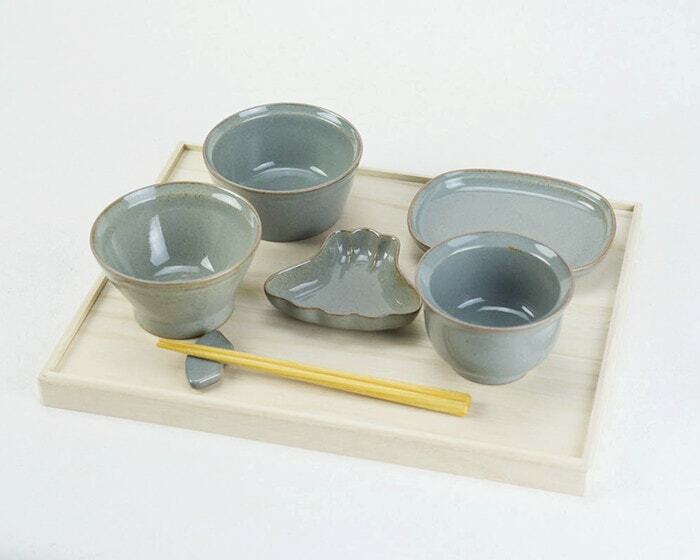 You can enjoy gyokuro or Kabuse tea with this tea set. After brewing tea, let’s eat tea leaves to enjoy every bit of high-class tea. Soba choko cups of Hasami ware are not only the cups for soba (buckwheat noodles.) Common people in Edo era (about 200~400 years ago) already used soba choko cups. 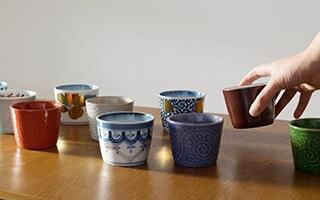 Now, Japanese people use soba choko cups as dessert cups or tea cups. Also, small cups are useful for small dishes. 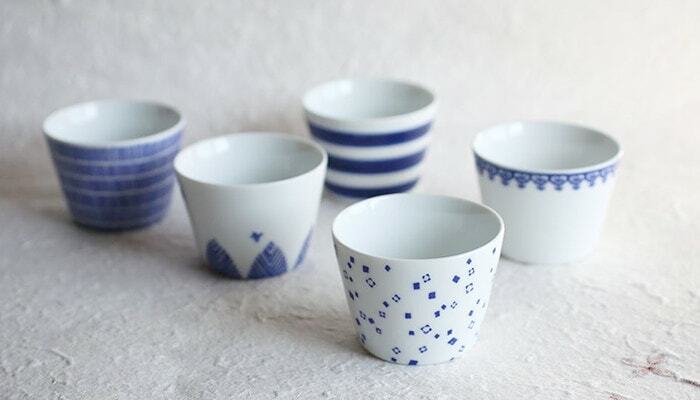 With soba choko cups of Hasami porcelain, you can entertain sudden guests in stylish way. For casual use of Hasami soba choko cups, Inban-soba choko from Azmaya is good. Blue and white color provide cool atmosphere. Noodles in summer would be great with them. 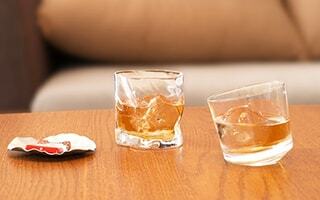 Since they are smooth texture, you can enjoy hot shochu in winter, too. 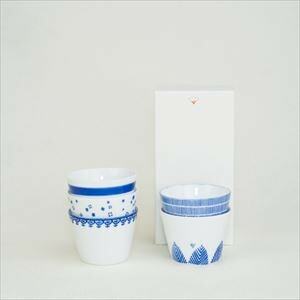 The bottom of these cups is called “Janome-Kodai” which is traditional style of soba choko cups. Soba choko collectors satisfy its quality. Hasami porcelain is not only tableware. Kitchen ware or dinner set for children have been popular items. Squeezer made of Hasami porcelain is one of the best-selling items in Azmaya. It is a beautiful white porcelain squeezer. This is a set of squeezer and pot. Craftsmen of Hasami yaki produce this squeezer one by one. So, it has enough sharpness for squeezing, but safe for your hands. 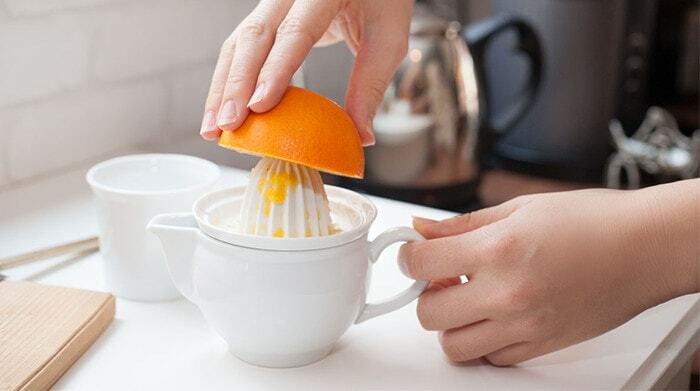 You can easily squeeze lemons or oranges. Good for making fresh juice or dressing sauce. 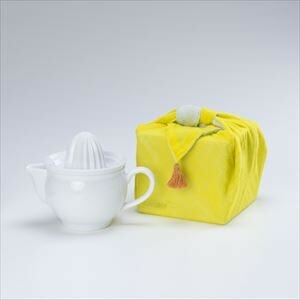 [Azmaya] Ceramic juicer from Azmaya is famous for its easiness to squeeze fruit juice. 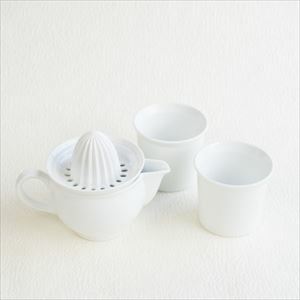 Hasami porcelain juicer does not get transferred smell or damage by squeezing. 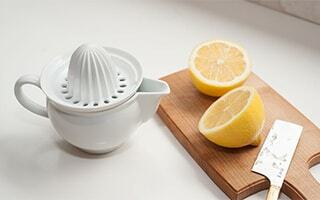 You can make fresh juice, ponzu sauce, or dressing with this juice squeezer. 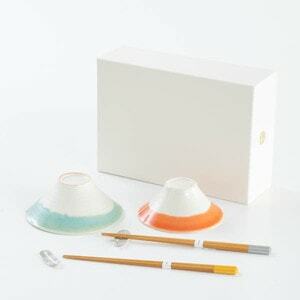 Tableware set “OKUIZOME” is a set of 6 Hasami porcelain and a pair of chopsticks. In Japan, people celebrate a baby’s 100th day of life by a ceremony “Okuizome.” It is a ceremony to celebrate 100-day birthday and wish for his or her health as ever. 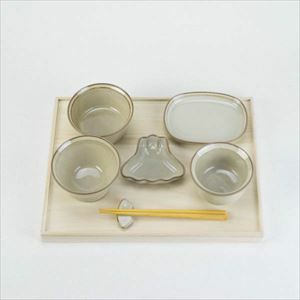 After the ceremony, you can use the tableware for baby food or tableware for kids. 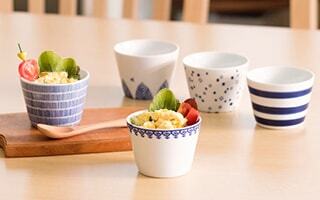 Simple and stylish Hasami ware can be used as mamezara or small cups for dishes. It is common new baby gifts in Japan. Special Hasami yaki watch over babies for a long time. 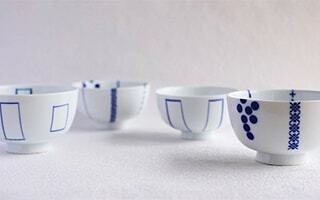 Hasami ware started its history about 400 years ago, as same as Arita porcelain. In Edo era to Meiji era, (about 200~400 years ago) ceramics were exported in the name of the port or station of dispatch. 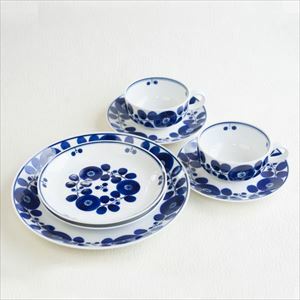 So, Hasami porcelain was exported as the name of "Arita porcelain" or "Imari porcelain." As time passes, producing area of ceramics become indicated clearly. 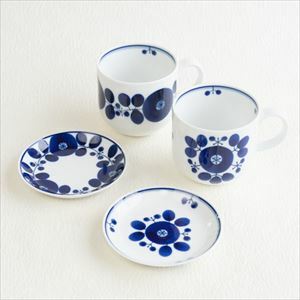 Then, the name of “Hasami porcelain” spread all over Japan. 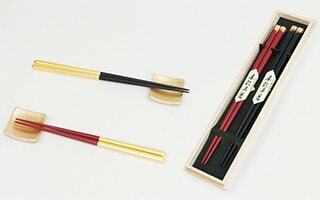 It is common that people already have Hasami ware without notice. 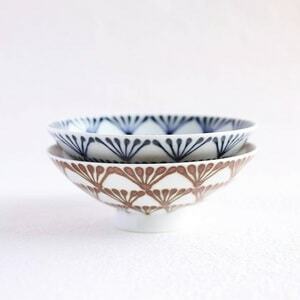 It is said that Hasami porcelain was started by Korean potteries who were taken by lord of Ohmura at Japan’s invasion of Korea in the end of 16th century. In Edo era, Hasami porcelain was already put into commercial production with multi-chambered climbing kiln. “Conpra bottle” was used to export sake or soy sauce to European countries. Since people cannot see the inside of white porcelain bottle, letters of soy sauce or sake were printed by printing on ceramics. Conpra bottles of Hasami porcelain had been popular as rare items. Tolstoy of Russia or Luis ⅩⅣ of France loved Conpra bottles. Also, “Kurawanka bowl” is popular Hasami ware. Kurawanka bowls were easy to get for common people. So, many people use Kurawanaka bowls. 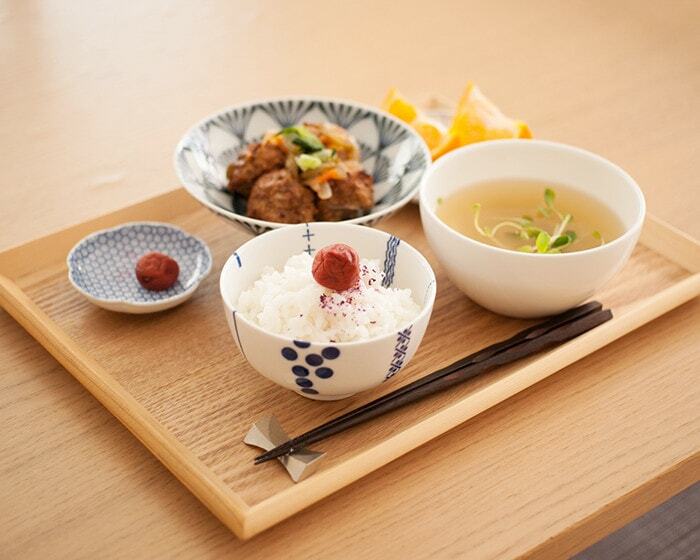 Hasami porcelain is tableware for daily life, not the high-class tableware like Arita porcelain. Hasami porcelain developed by specialization such as mold shop, unglazed porcelain atelier, potter, pottery clay shop, glaze shop, etc. Hasami yaki is good at mass-production. 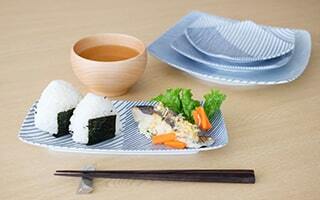 In early 1990s, Hasami ware accounted for 1/4 to 1/3 daily use tableware in Japan. 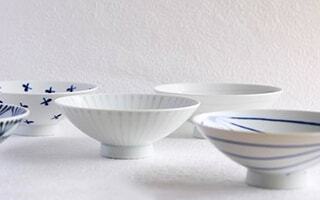 Hasami porcelain has been loved by people. 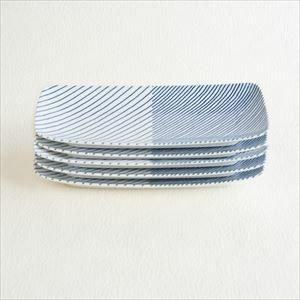 It keeps great popularity as daily use tableware. At the beginning of the production of Hasami porcelain, potteries made of pottery clay were produced. But after finding good pottery stone, main production was shifted to porcelain. 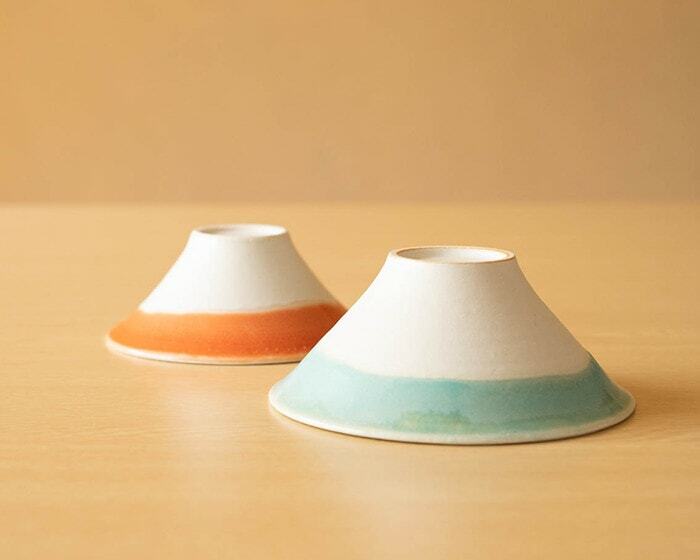 Material of Hasami porcelain is “Amakusa pottery stone” which is mined in Amakusa peninsula in Kumamoto prefecture. Amakusa pottery stone does less shrink by baking and has appropriate stickiness for white porcelain. Mined Amakusa pottery stones are sorted for stones or pottery stones, removed iron, and become material for Hasami porcelain. When the stone was baked, elegant white color appears as Hasami porcelain. 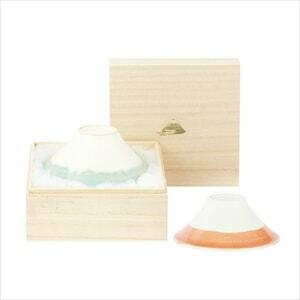 Amakusa pottery stone enables to express translucent white porcelain of Hasami yaki. 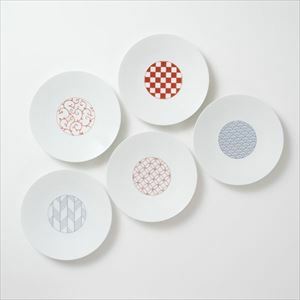 Hasami ware has been popular in Japan Design Store. Here, let us introduce a part of potteries of Hasami porcelain. Hakusan Toki is a brand and studio that produces various long-selling products by their continuous work from design to production. Before Hasami porcelain got famous, Hakusan Toki produced a lot of great Hasami ware. Their origin is wish that “people use our items for a long time.” Their production begins from the imagination of a scene when people use the item. 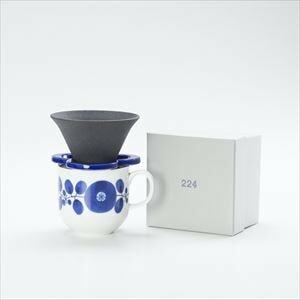 Japan Design Store introduces items of “DESIGN MORI CONNEXION” from Hakusan Toki. The items are designed by a designer Masahiro Mori. 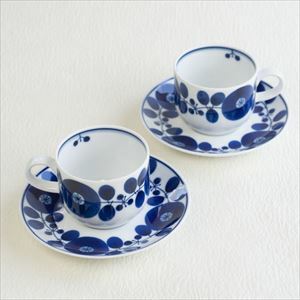 Shiratake porcelain is a long-established pottery of Hasami portcelain in Nakao Go of Hasami town in Nagasaki prefecture. They produce various best-selling items with the collaboration of Azmaya. It is a big pottery. Skilled craftsmen produce various products, mainly the products with mold. 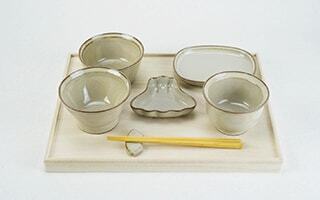 Hasami ware that has warmth of careful work of craftsmen such as beautiful squeezer or stylish Inban soba choko cups get attention from all generations. 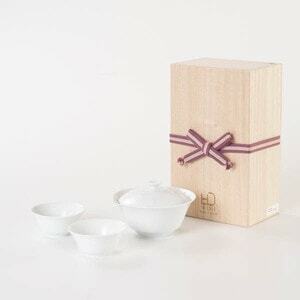 One of the greatest features of Hasami porcelain is its translucent white porcelain. Eiho porcelain is a pottery that is characterized by thin, light, and translucent white porcelain. It was established in 1936. The founder of Eiho Porcelain was a master-hand at using pottery wheel. With inheriting his skill to today, they produce masterpiece with selected materials. Carefully produced stylish white porcelain is popular now. 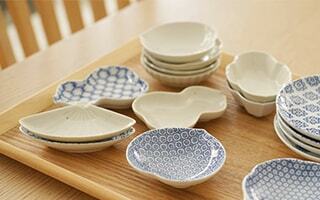 Ceramics market of Hasami porcelain is very popular in Japan now. Booth of Hakusan Toki gets great population every year in the market. 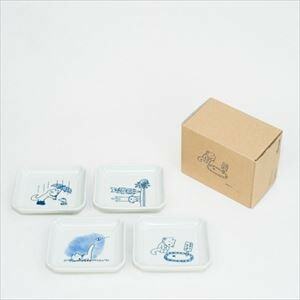 “But I cannot go to the market…” Then, please visit a Japanese online shop Japan Design Store. Our selected Hasami yaki work well from daily life to entertaining guests. We make various original set for better and easier table setting. 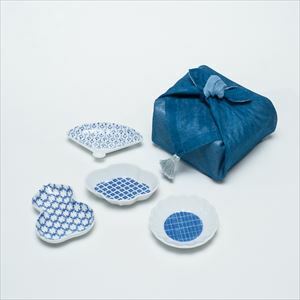 Hasami ware set has been popular gifts for any generations. 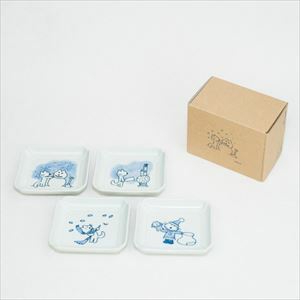 If you would like to send Hasami porcelain as gifts, please leave it to Japan Design Store. We offer various elegant gift wrappings for any gift purposes. 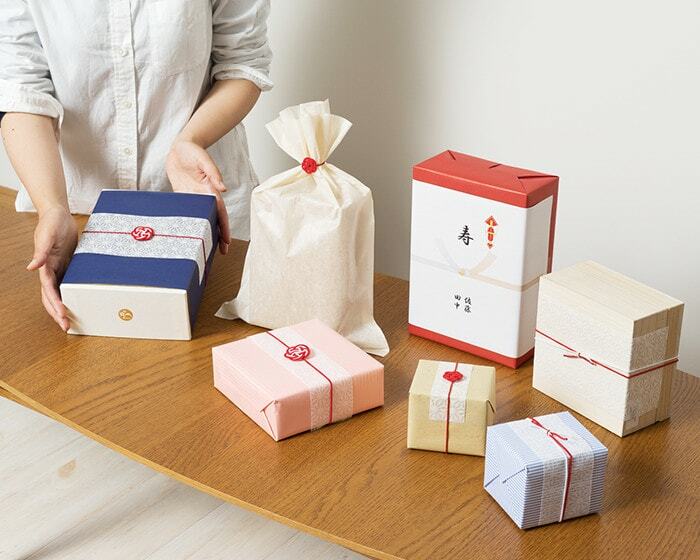 You can choose Japanese traditional Noshi wrapping, too. Stylish Easy wrapping is popular. Also, Japanese Ume Mizuhiki option is popular, which is made of Mizuhiki in Iida city of Nagano prefecture. 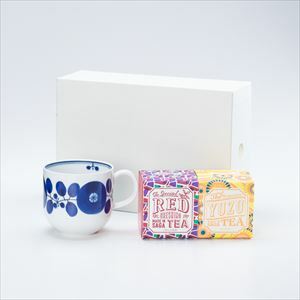 For wedding gifts, return gifts, housewarming gifts, or birthday gifts, please choose Japan Design Store for your important presents.